Cytotoxic edema is a first sign of brain ischemia on CT. These scans show extensive edema in the region of medial cerebral artery with effacement of gyral sulci, hypodense whate matter and compression of the right lateral ventricle. 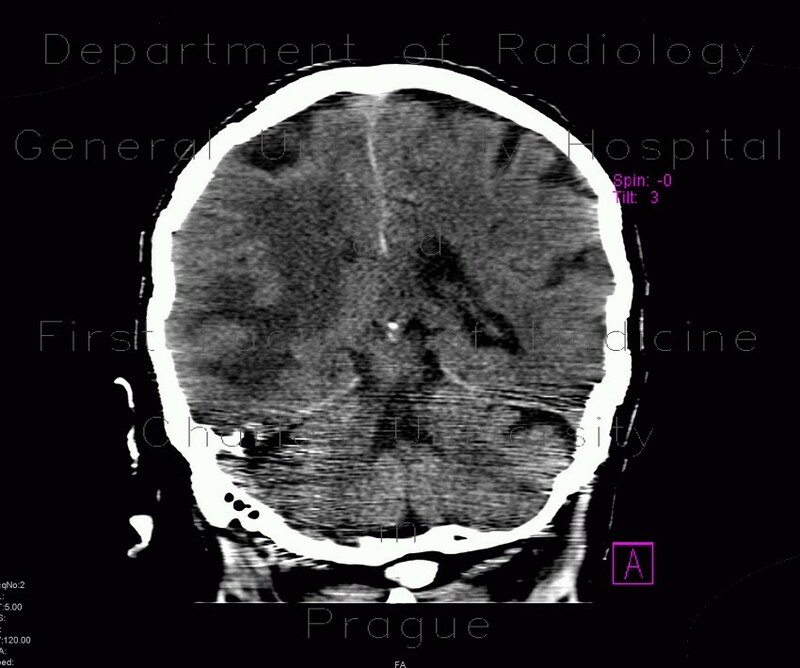 First signs of acute cerebral ischemia are usually very subtle on CT.